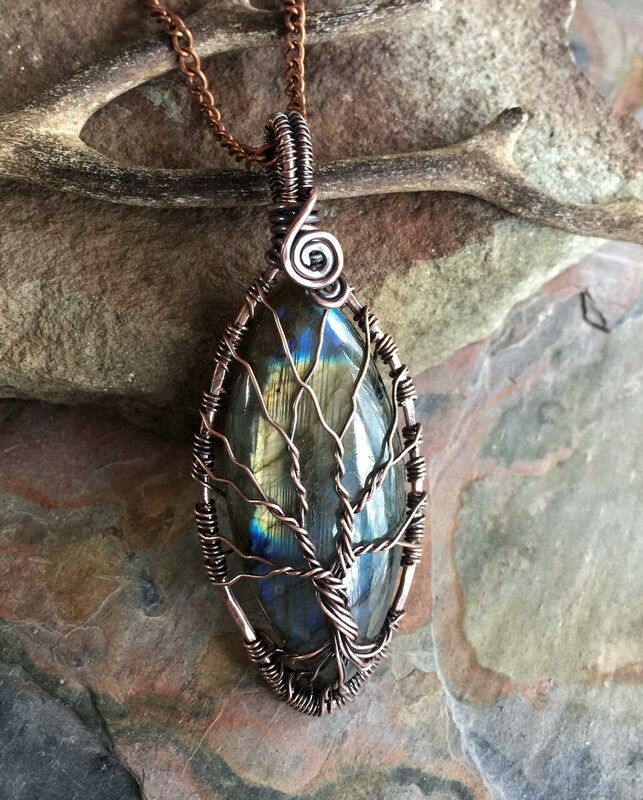 This listing is for the beautiful wire wrapped Natural blue Labradorite Teardrop Gemstone Tree of Life Pendant in Antiqued copper. 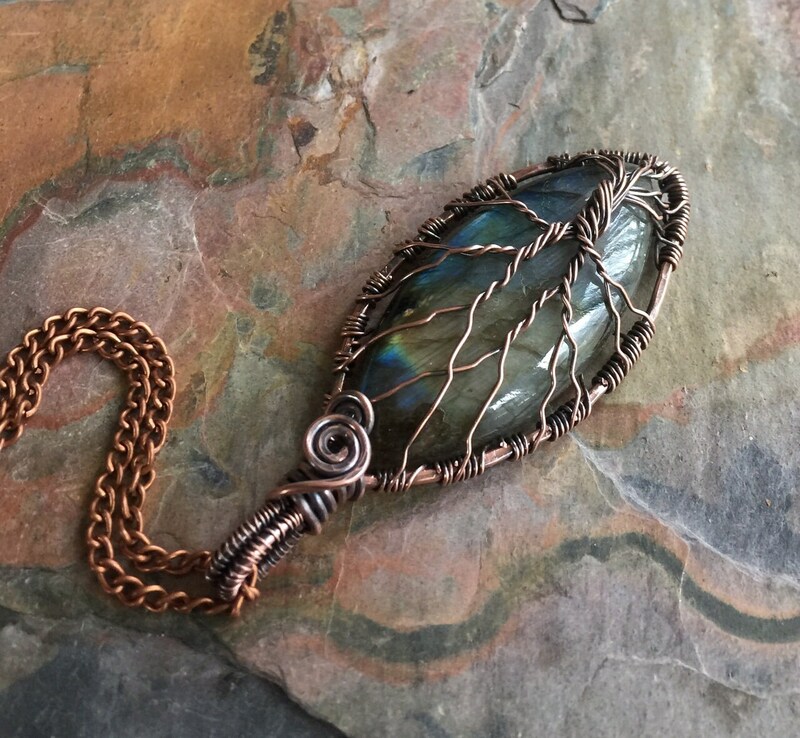 It would look nice on a long chain. 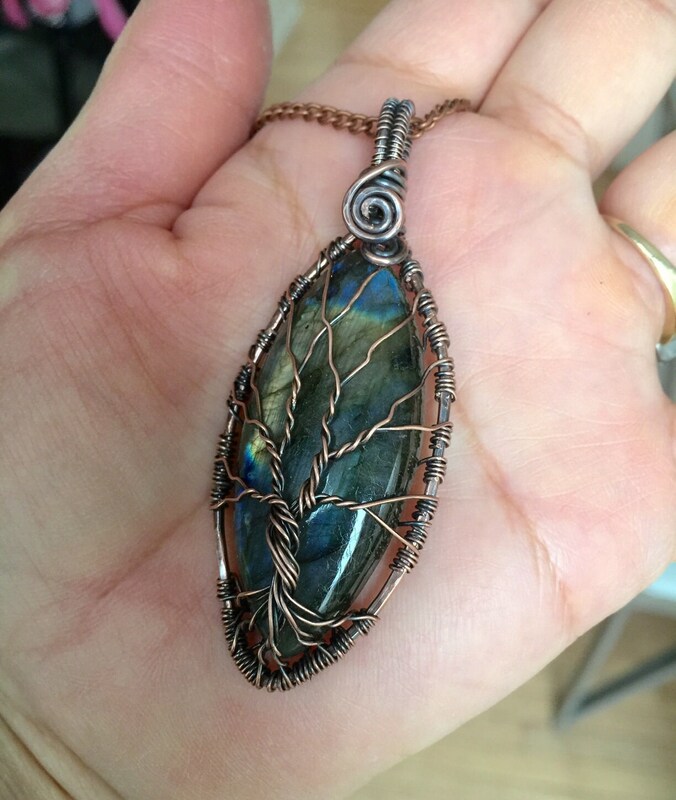 This natural beautiful marquise cut Labradorite displays a beautiful lots of blue flash, desert golden yellow green color. 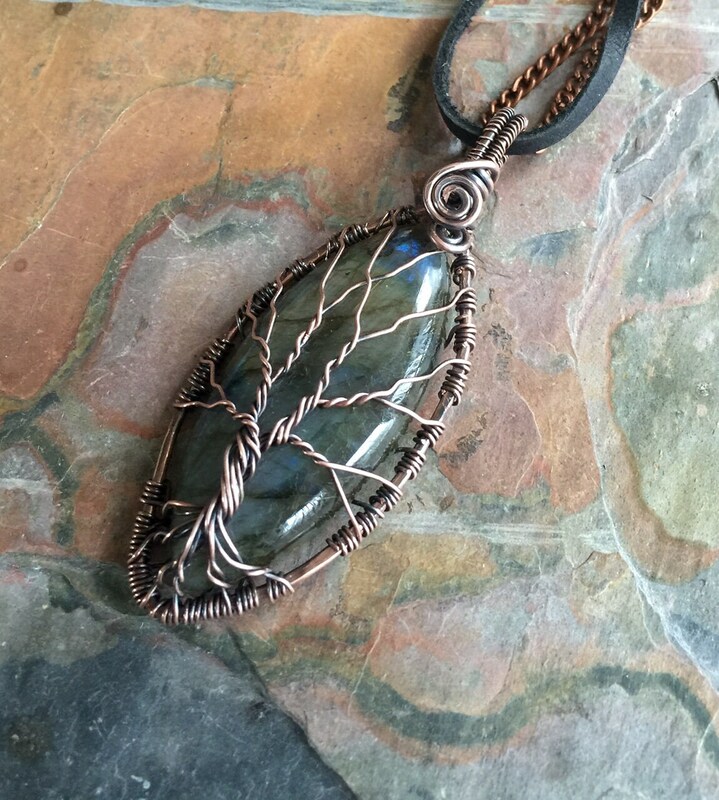 The stone is wire wrapped in using genuine copper wires for tree trunks and branches. 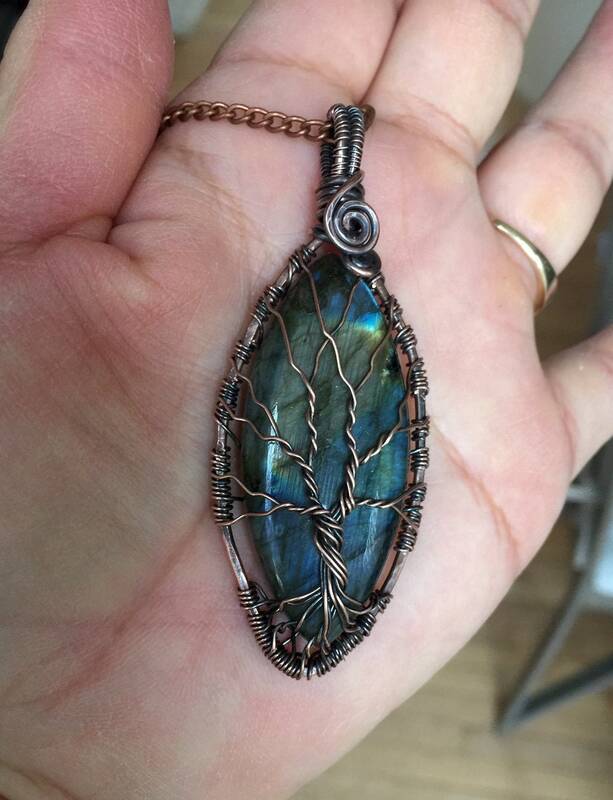 The pendant is antiqued to darken/patina the copper wires and forged & polished to give that warm & rich look of the finished tree of life. It comes with your choice of chain. 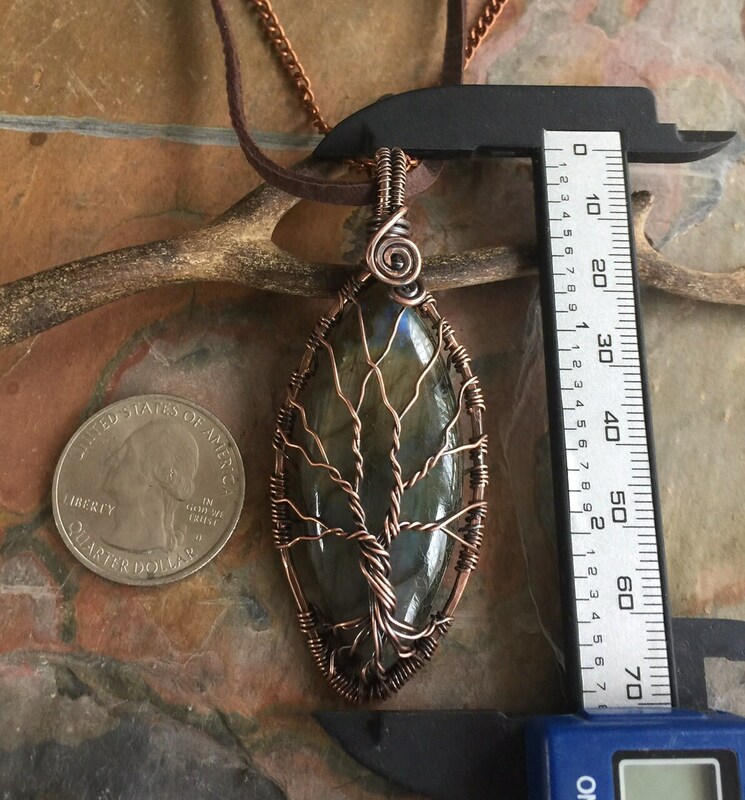 The pendant measures 2-3/4 inch from the top of the bail to the bottom of the pendant, 1.15 inch across. 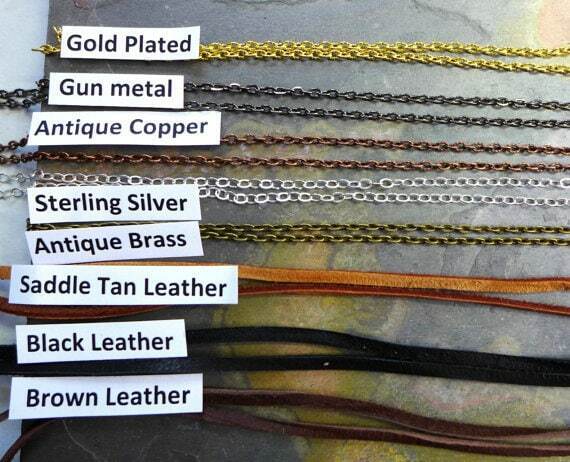 ***Introducing Deerskin Lace Leather: very soft and insulating, deer leather has for decades been used for clothing, shoes and even shelter. Deerskin is strong yet the softest. Looks great on all my Tree of life necklaces & others.